Help Haiti! Support My Hurricane Matthew Relief Initiative! 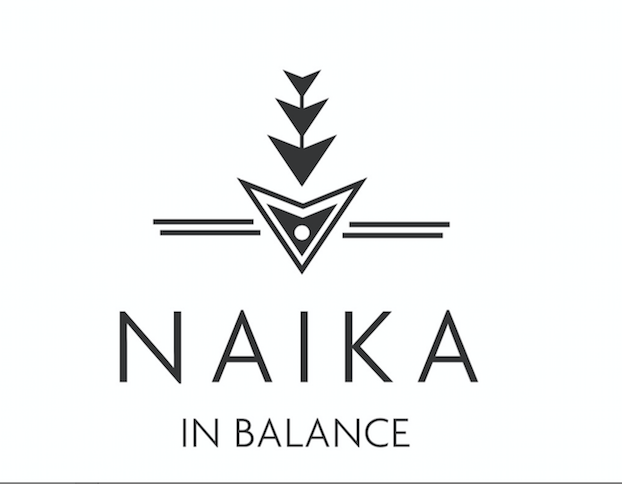 Dear Naika in Balance Community!!!! As many of you might've heard by now, a category 5 hurricane ravaged the country of Haiti last week. Some towns in the south are completely destroyed, like my mom's hometown of Les Cayes. Over one thousand people have died, thousands more are now homeless, and millions have been affected! There is limited access to shelter, housing, clothing, and medicine. Food access is a concern, as is the spreading of an already existing cholera epidemic. The impacts of this natural disaster have hit home, literally, and I feel called to help as a Haitian-American, as a student, as a healer, and as a global citizen. I have to be honest with you. I've debated about aid and what that means in the context of Haiti. We have seen how foreign influence, coupled with local corruption, poverty and structural violence have led to Haiti's current state. Additionally, in naturopathic medicine, we talk about treating the foundational cause, as opposed to superficial symptoms. So part of me wonders how useful initiatives like this are and if the role of aid is actually more damaging than not... But I've come to the resolve that this is helpful. This is an acute crisis and people are in need right now. The foundational initiatives must take place after. But right now, Haiti needs our support. Do you also feel called to help the people of Haiti? 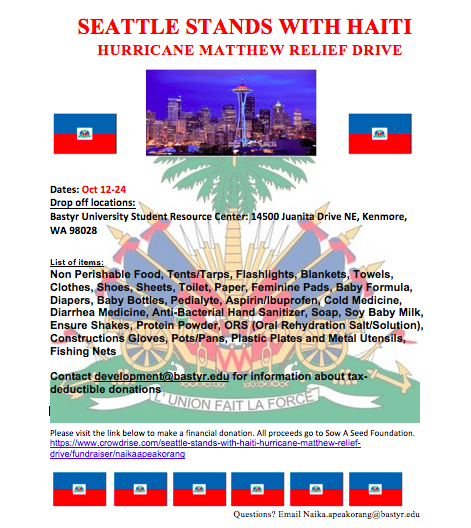 I've worked with some awesome people to initiate a donation drive called "Seattle Stands with Haiti: Hurricane Matthew Relief Drive". We've been collecting emergency goods from the Seattle community and will be sending them to a Haiti based/Haitian led grassroots organization, conducting effective relief work right now! Will you show some solidarity with Haiti? Since you all aren't in Seattle and can't assist by donating goods, I hope you'll consider making a financial donation by clicking here. ! Funds will be used to ship the donations to Haiti, and 100% of the remaining money will be gifted as a cash contribution to Sow A Seed Foundation! In Haiti, there is a saying, "men anpil, chay pa lou". This roughly translates to "many hands make light work".